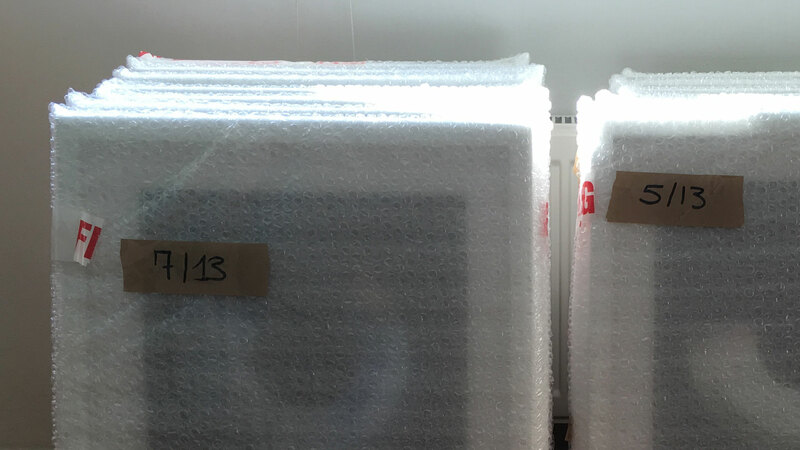 The Orbit Series prints are signed, framed and ready to travel tomorrow.The full series (13 prints) will be exhibited next week at the Ocean Studios Gallery in Royal William Yard, Plymouth, as part of the Balance Unbalance 2017 Conference. This entry was posted in Exhibition, Light. Bookmark the permalink.